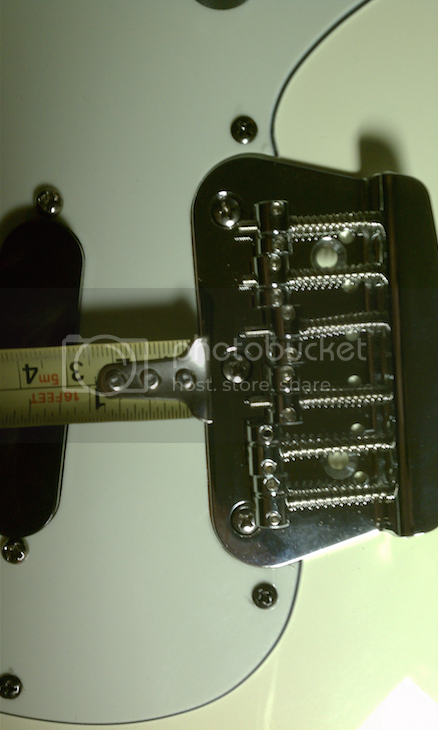 1) You can put a 25.5" neck on there without moving the bridge. You will need to make some bridge adjustments, but it will play OK. It may not intonate perfectly higher up the neck... but I wouldn't worry too much. 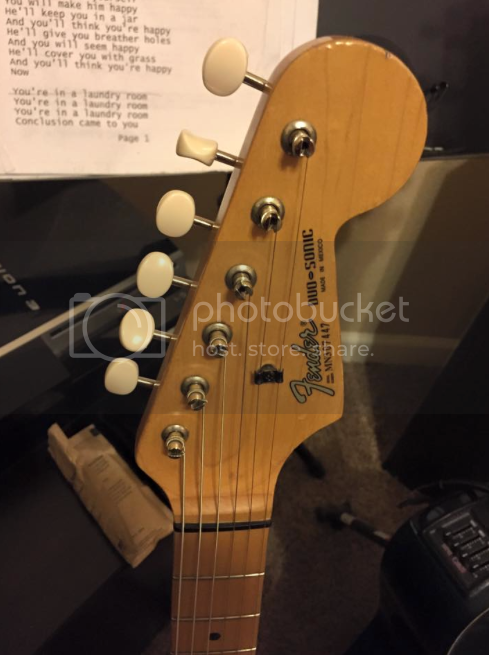 A Strat neck should work fine. Singlepickup thank you sir for the clarification! I eventually figured it out but I think its nice to have a finite post here for the MIM Duo's. And Thomas I did measure and I can post the pics sometime tonight. I think it could be done if one were to A. use a different style bridge from Stew Mac etc or B. 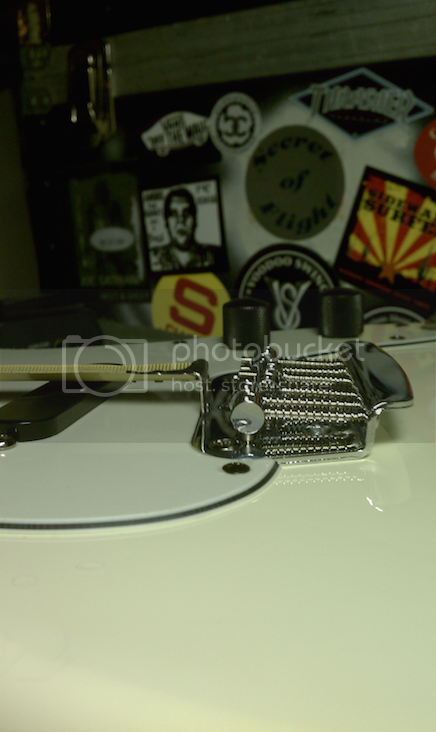 Moving the bridge forward and cut a custom pickguard and relocate the pickup positioning. I may eventually buy a Jagmaster and have a custom 24" conversion neck(s) made based on its scale/design but that'll be down the road, I already have more money that the guitar is worth wrapped up in mods so I figure I'll invest the $$$ in my next few projects for now. \m/ Thank you for interest in helping and info etc this site has been very helpful. I just failed with the neck info cuz Im skimming thru lots of pages at wee' hours in the morning. No problem! So I'm guessing you're going to stick with the original neck? Post pics when the project is complete! 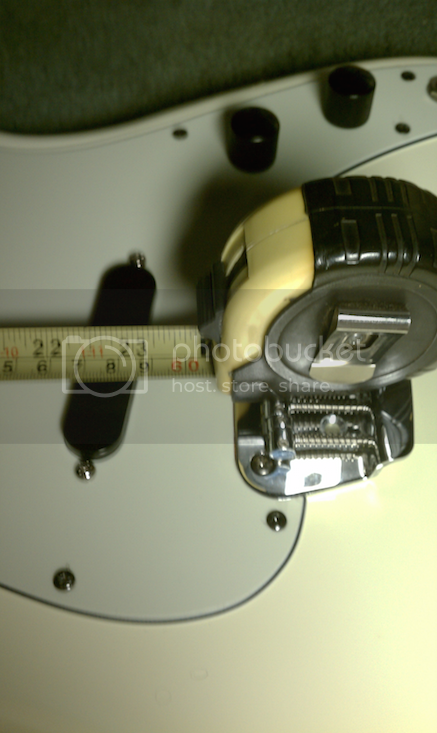 So apparently this Jagstang neck I have wont fit, I thought the 24" scale neck would work on a Duo Sonic without moving the bridge etc. But Im wrong. Can anyone verify what neck will actually work? 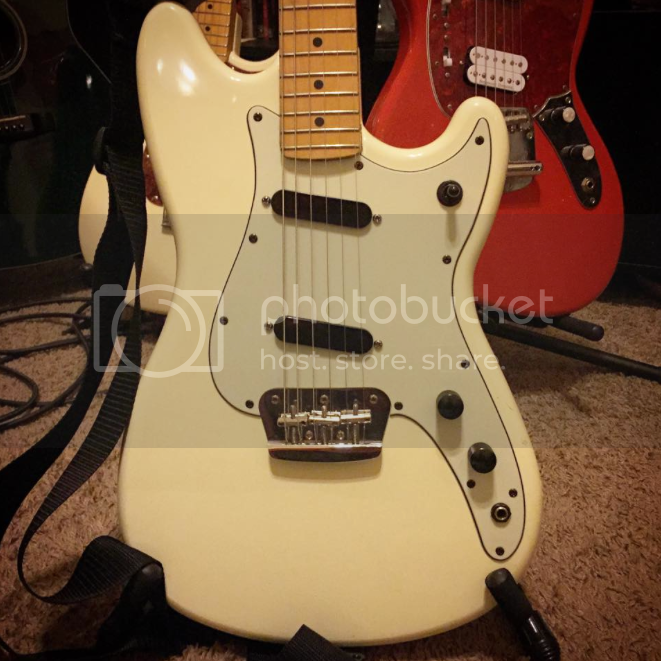 Like will a Strat neck work without moving the bridge back? Did you put it on and measure it? Just poopiez and gigglez I measured and it could be done with a lil dremel action on the pickguard and moving the bridge forward but that would probably require filling the original bridge holes, repainting body (if it were me), and possibly cutting a custom pickguard all together to relocate the pickups positioning. 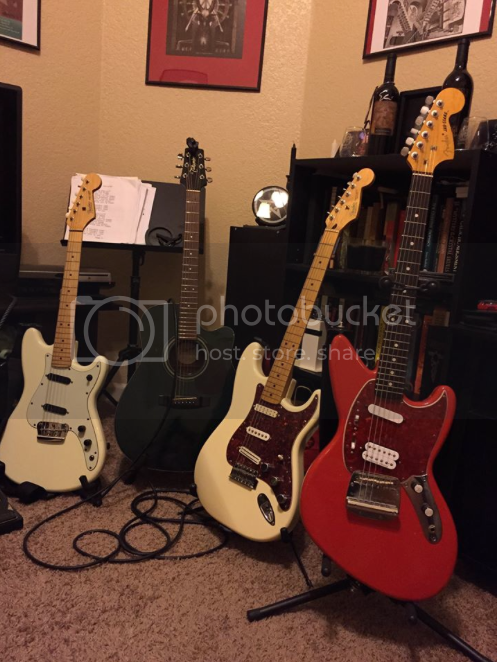 All in all if I end up swapping a neck I will snag a MIM STRAT 25.5" neck and do it over going all out for the 24" otherwise one day maybe I'll get a custom 24"conversion neck like the Jagmaster. Then again a lot of work for an MIM...right? This isn't finished I am yet to do the MusicMaster Bridge/drill thru. But here is the progress thus far! ^ New Name Reborn "Minty Fresh"
Neck and body finish look great after all those years!